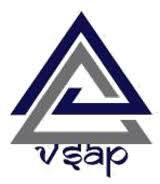 Vaishnavi School of Architecture and Planning, Vijayawada is approved by Council of Architecture (COA), New Delhi and affiliated to Jawaharlal Nehru Technological University, Kakinada (JNTUK). It offers five years B Arch program and aims at attaining a high level of excellence in Architectural Design, seeing it as a core of the program with supportive inputs of the courses in other streams. Admission to B. Arch course is through counseling by Telangana State Council for Higher Education, Andhra Pradesh State. Students should qualify in NATA (National Aptitude Test in Architecture conducted by Council of Architecture(COA)) with 10+2 (Maths stream) with an aptitude of 50% or more and 10+3 in any Branch of Diploma in Engineering are eligible for admission into Bachelor of Architecture (B.Arch). The Placement Cell is responsible not only for helping students with their recruitment into various reputed firms during their professional training but also train them and provide them with necessary resources to shape their career forward. Are you Interested in Vaishnavi School of Architecture and Planning.